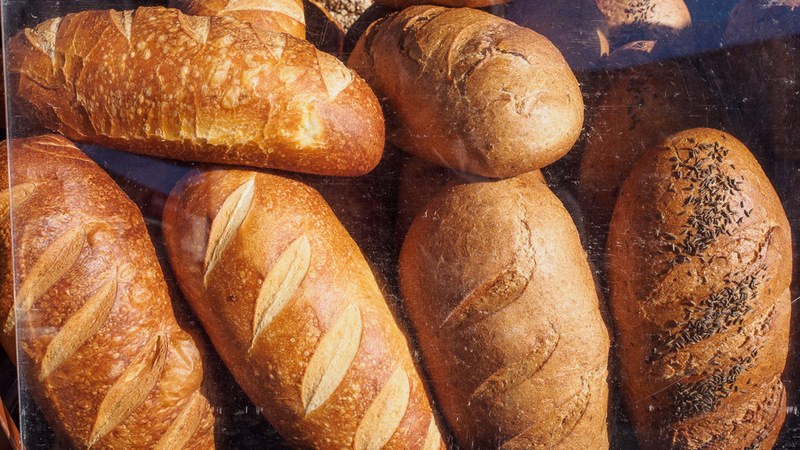 There's nothing like coming home with fresh bread to make a trip to the market feel like a trip to the market. Curiously though, if you look carefully, our health regulators insist that the product is kept behind glass, "sneeze guards" they are called. I suppose one should remain eternally grateful that one can be certain that one's bread has not been sneezed on particularly as the first of the Westerly winds bring new bouts of hay fever, but it's much nicer "more markety" just piled up on a trestle table!